Buy or Rent That Darn Cat! 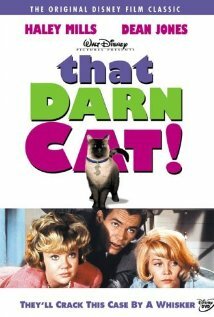 (1965) Movie DVD & BluRay Online! Movie Plot: A woman is kidnapped. While in captivity, she manages to send a message out with a wandering cat. The cat’s owner calls the FBI. The FBI tries to follow the cat. Jealous boyfriends and nosy neighbours also get in the act.